Last autumn, the world’s governments came together to agree 17 ambitious sustainable development goals, which promised to overcome a vast array of problems – from poverty and hunger to health and gender equality – by 2030. The UNESCO report published today ‘Education for People and Planet: Creating Sustainable Futures for All’ charts the progress in meeting these targets. It demonstrates an obvious truth: education is the rock on which sustainable development is built. In parts of Africa, mothers who have a secondary education are three times more likely to have children that survive beyond the age of five. If Nigerian girls spend four extra years in school they have, on average, one fewer children. In Sierra Leone, young people without an education were nine times as likely to join rebel groups. 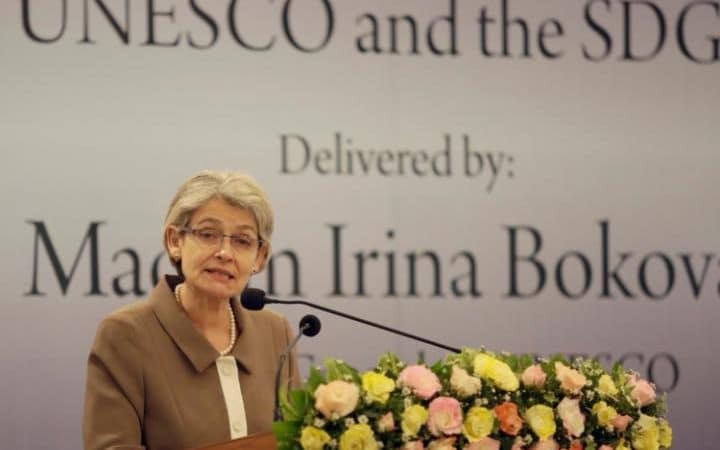 But, as UNESCO Secretary General Irina Bokova notes in the introduction, today’s report should “set off alarm bells around the world”. The fourth SDG – ‘an inclusive and equitable quality education for all’ – will not, on current trends, be fulfilled for several more decades, when today’s children will already be approaching retirement. The number of children who never set foot in a classroom, after years of falling, is rising again. In Uganda, only one in five elementary schoolteachers meets the minimum standard of proficiency in maths, while in Kenya, state schools teachers are absent almost half the time. Such failure if it continues will, in turn, prevent us from meeting the other sustainable development goals. Post-financial crisis, international political will towards solving the global education crisis has dissipated. Education aid including from the EU and World Bank, has been in decline since 2010 – falling by $600 million between 2013 and 2014. Meanwhile aid spending on health continues to grow – a sign that education is falling down the list of donor priorities. Yet there has never been a greater need. Nearly half a billion children live in countries affected by war, famine and deadly epidemics. Syria had achieved universal primary education by 2000 but now 2.8 million Syrian children are out of school. In many other unstable countries – from Somalia to Afghanistan – there isn’t even any official count on how many children are out of school. Yet we devote less than two per cent of humanitarian aid to education. This is the moment for a massive increase in investment. The Millennium Development Goals already picked the low hanging fruit – increasing the number of school places across the developing world. Providing education to that hard to reach final ten per cent – and increasing its quality – will be tougher still. 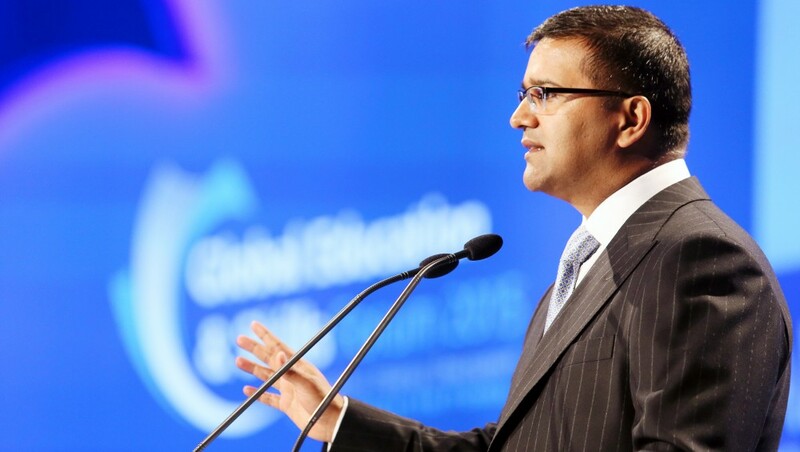 The developing world is about to be hit by an economic shock. The “fourth industrial revolution” – that will replace many jobs by automation – threatens 85 per cent of jobs in Ethiopia, far more than in the West. The rote learning culture within classrooms in much of the developing world – particularly in Africa – will not produce the curiosity, creativity, and critical thinking that the jobs of the future will require. Achieving quality will be expensive. Teachers have to be retrained and better remunerated. Curriculums must be revised. Assuming that developing world governments do manage to devote the target of four per cent of their GDP to education, that would still leave an annual finance gap of $39 billion to provide every child with a good school place. The Italian G7 Presidency next year is an opportunity to showcase its commitment to global citizenship through the Sustainable development goals. It can make this flesh through a commitment from the G7 countries to enshrine in law their commitment to education aid – just as the UK has done in its commitment to spend 0.7 per cent of GDP on international development. We can’t, however, rely on aid alone to plug the gap. NGOs and the private sector must share the strain. Low-cost private schools are delivering quality education, in some cases for as little as 40p a day, in developing countries. Parents are voting with their feet where they see gaps in government provision. In India one in three children in rural areas attend private schools – an increase of 40 per cent in the last 10 years. This is providing a stream of investment in building schools and improving teacher quality that is not at the mercy of hard-pressed government budgets. As they stand outside the state system, schools run by charities and the private sector are more likely to be the kind of ‘disruptors’ that can raise standards and pioneer new teaching practices. But too often private education in the developing world is in the headlines for all the wrong reasons. Insensitive operators have, on occasion, failed to deliver. On the other side of the debate, some oppose private involvement on principal, despite evidence that it can achieve improved outcomes. Public, private and voluntary sectors are here to stay so should be collaborating – just as in the UK’s academy programme, that hugely improved London’s state education system. There are examples elsewhere; in Uganda, one of the organisations we have worked with, the NGO Building Tomorrow, constructs and is given the freedom to operate schools – but the Ugandan Government pays the teachers’ salaries. In India, the Akanksha Foundation has opened schools in low-income parts of Mumbai, partially funded by the state, with the aim of impacting the mainstream education system. We need a serious commitment now by governments to meet the Sustainable Development Goals on education, unclouded by ideology, while they can still be salvaged. The evidence shows what we instinctively know: if we get education right, we are half way to solving the rest of the world’s problems. This entry was posted in Education and tagged MDGs, SDG's, Sustainable Development Goals, Telegraph by Vikas Pota. Bookmark the permalink.